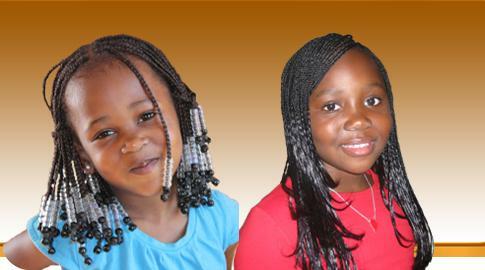 Many of our customers just love to see their kids with braids. 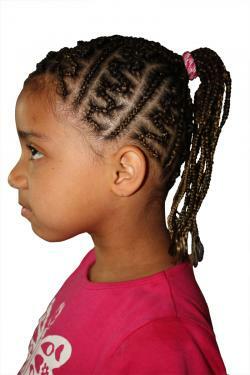 These braids, more commonly known as cornrows, are realized in just two hours, and give your child that special fancy look. 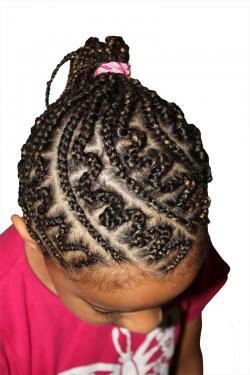 The braids are also very practical, as they stick to the head, hence not dropping in front of your child's eye all the time. 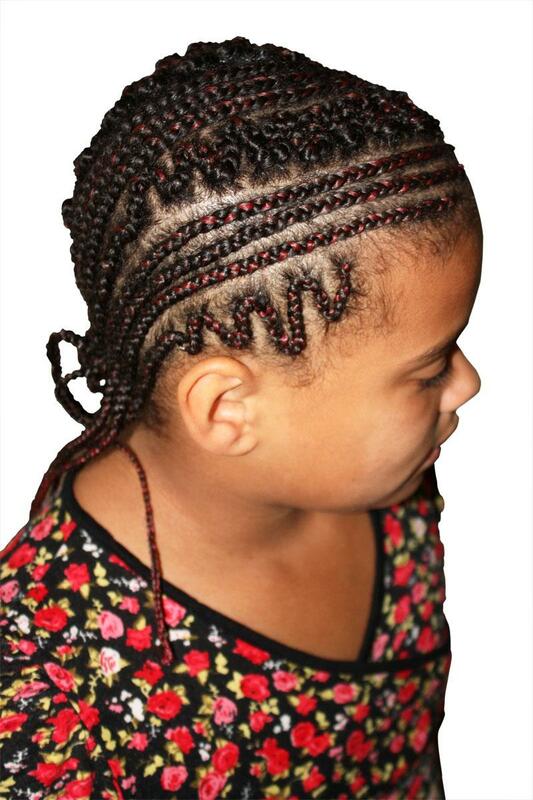 These cornrows really are so fitting for your child. Just a little while ago African Hair did not provide images of this wonderful hairstyle. Also, we didn't have large images of children on our site. All that has changed now: on request of many we now have some great homemade examples. These two little customers were o so willing to show to the world their lovely haircuts. Surely they may show off with their haircuts. At school, in the playground, in the neighbourhood: they'll just stand out sweetly. Most importantly, they themselves are so proud of their African Haircuts! Both children have a so-called zigzag model, one with a shape of three straight lines, the other with a special twist. Varying in techniques makes it possible to make so many different styles. Idea's or nice creations of your own, to get that very special exclusive look? 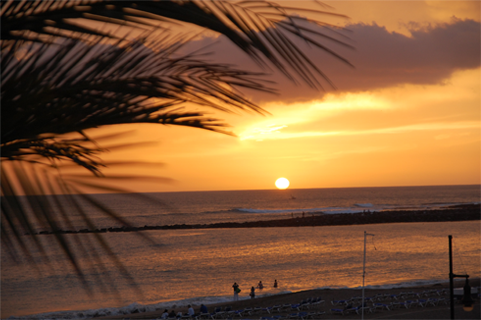 Or do you have a nice photo in a book or from the Internet? Just let us know, we will create almost any look. 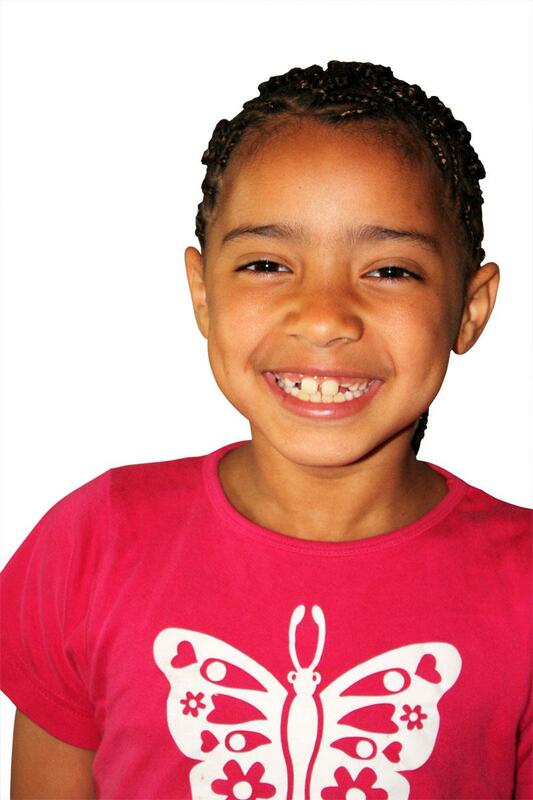 These braids certainly are all but childish, even adults look good with cornrows. Want some suggestions? Have a look at this link and this link. 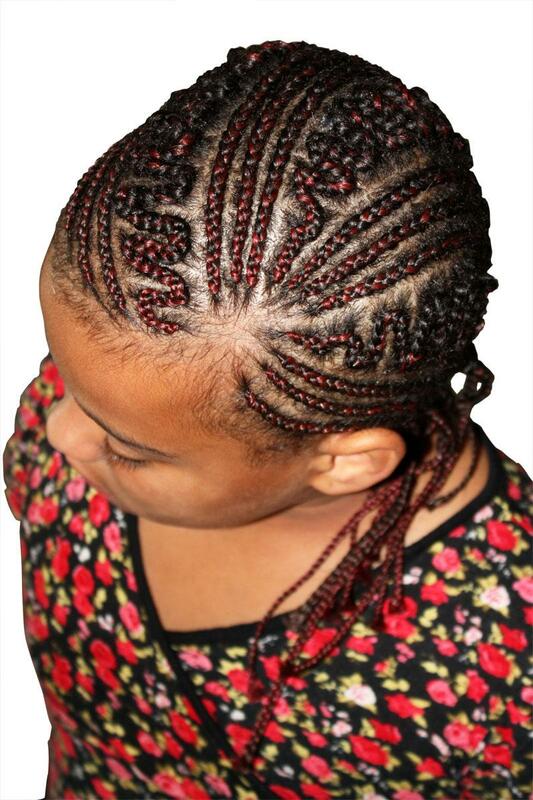 You'll be amazed about the many different styles possible with cornrows. Also interested in these braids? Want your children to have some? Or maybe you want to look amazing with these braids? Just contact us. 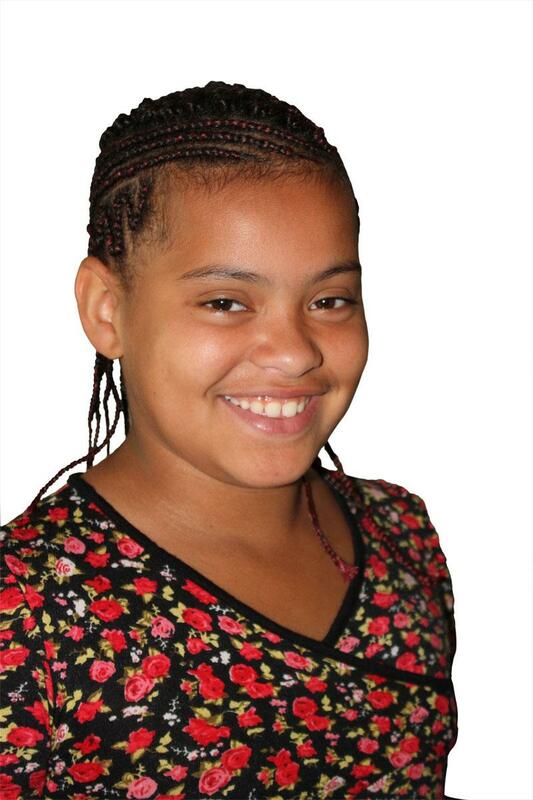 And for your information: these cornrows will last easily for a month and a half up to two months, both for you and your children. 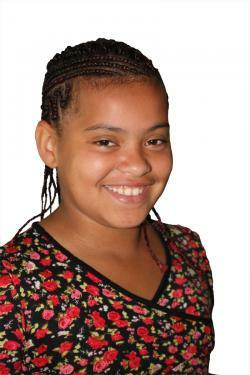 While we offer cornrows starting at € 30,- for children, and a cheap € 40,- for adults (excluding artificial hair). Revlon interactive herstel voor zeer beschadigd haar. Fijne, lichte niet vette emulsie voor porreus of gespleten haar. Herstelt het haar en maakt ze glad en stevig. 3 tot 5 minuten laten inwerken en dan uitspoelen. Voor normaal tot vet haar. Milde reiniging en vitalisatie van het haar en de hoofdhuid. De Funky Styler van Parucci is sterk genoeg om zelfs het dikste haar in bedwang te houden. Funky Styler geeft een mat effect in het haar en is geweldig voor de nonchalante look.Â Een superdikke stylingpasta die zorgt voor een rommelig en warrig effect in je haar. Verdeel een kleine hoeveelheid Funky StylerÂ in de handen. Warm wrijven en in het haar aanbrengen. Be Funky!